I've always wanted to invest in the massive fictional universe of Warhammer 40,000. I mean, you've got your gun-toting orks, space marines, massive derelict spacecraft, and best of all...chainsaw-swords. Jumping into such an expansive universe could be downright daunting for a newbie, and might require reading, like...actual novels. We're in the digital age, people! Do you suffer violent allergic reactions when holding books (like myself)? Why not check out a sliver of such a universe by playing Spacehulk: Deathwing? The game's new trailer features some of the fancy melee weapons and boomsticks that'll be at your disposal along with your fellow marines. Also on display are the Genestealers, a hostile alien species that you and your team will be battling time and time again throughout your perilous journey. Warning: this footage contains flamethrowers, thunder hammers, plasma cannons, explosions, and the death and dismemberment of countless alien bad guys. Viewer discretion is advised. 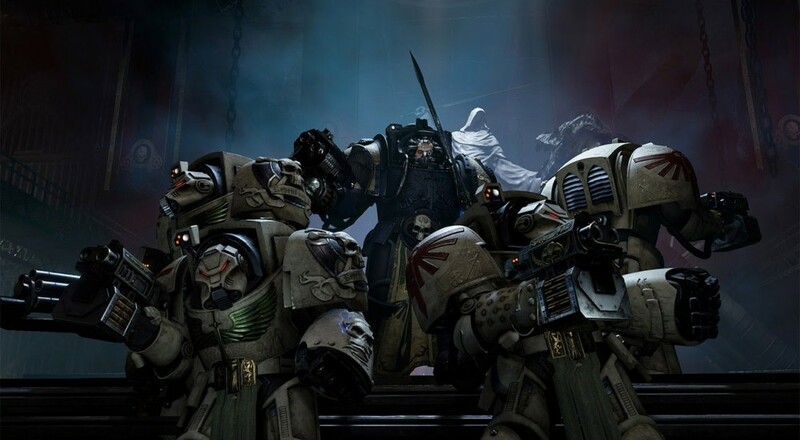 There's no specific release date nailed down for Spacehulk: Deathwing just yet, but you should expect to see the title available sometime this November. Page created in 0.2474 seconds.